Expression of love is an art and the props used for assistance such as the love letters presented beautifully or the romantic gift ideas play a very important role in it. The girls can also take initiative in speaking out the inner heart to the most handsome guy in their life. In order to convey the emotions in the most result oriented manner; they can choose fabulous romantic gift ideas for the boyfriends at the online gift shopping portal Giftcart.com. The aspirant girls that wish to make the loving boyfriends feel pampered through gifts for boyfriend can look out for the most appreciable gifts online at Giftcart.com. 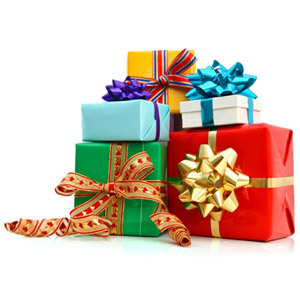 We offer different gift ideas suitable for boyfriends through a dedicated category. 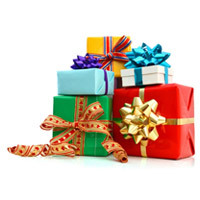 Thus it would be easy for the aspirant buyers to choose the most suited gift ideas. Boys and men usually admire the gift that would have something for them in it. They like the gift ideas that they can personally use. The girlfriends need to note this inclination while expressing love through the meaningful gifts for boys. Thus the recipient boyfriends would feel unique and special to receive these fabulous gift ideas. Drive Me Crazy Love Combo Of Personalised Gifts includes a beautiful cushion with a meaningful text message: “ EVERY LOVE STORY IS BEAUTIFUL BUT OURS IS MY FAVORITE”; personalised photo frame printed with the image of the real life couple in romantic mood and heart shaped delicious homemade chocolates. In Love Tile Frame Personalised Combo Gift combines romantic gifts for boys that make them feel honored. The tile frame would be added with four photographs of the recipient boyfriend along with the presenting girlfriend; heart shaped furry teddy and homemade chocolates in the heart shape. Heart Design Cufflinks would be most suited men's fashion gifts that add glory to the appearance of the recipient boyfriends. The cufflinks would look great on the formal shirts and the shiny pink color and heart shape would reflect love and romance as well. Me & You Gift Combo includes ceramic coffee mug with simple love message along with heart shaped chocolates. Teddy & Chocolates Gift Combo would combine the cuteness and innocence of the teddy bear along with the rich and delicious taste of the chocolates packed beautifully in the tin.